Students also marched out of Mississauga Erindale Secondary School, just west of Toronto, carrying signs, many critical of Ford. “I emailed my MPP, and when I didn’t hear back from him, I really wanted to do something,” Moore told CBC Radio’s Metro Morning on Thursday. During question period at the Ontario legislature on Thursday, Ford said walkout should have been stopped. 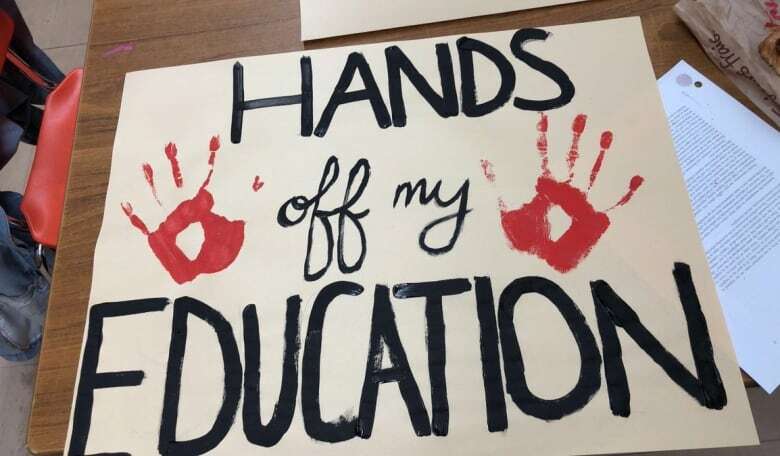 “As a school board, we encourage students to be well-informed about issues in our society, to think critically, and to express themselves respectfully and responsibly in articulating views they may have,” wrote the Toronto District School Board, the largest in the province. Moore says she believes Thompson’s comments “are an excuse to cut funding and balance the budget. For her part, Vance says larger class sizes will mean that the students who need help the most simply won’t get it.